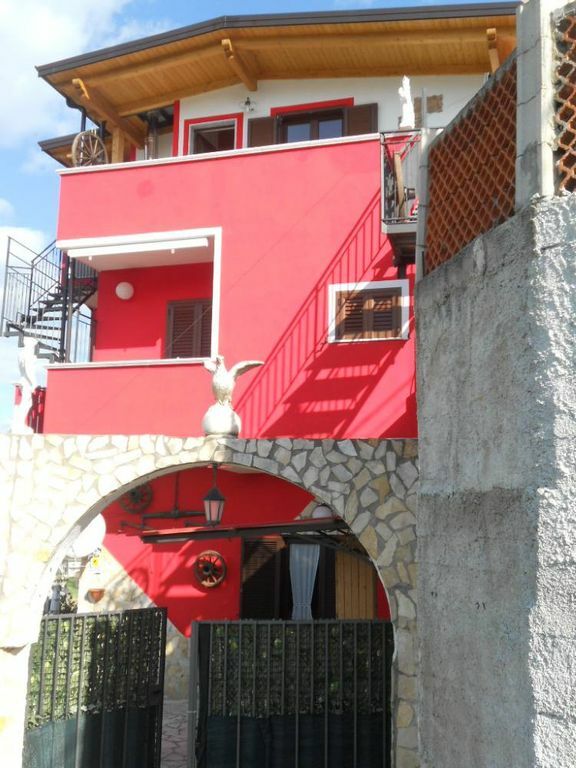 (Text automatically translated) Agropoli, in the Cilento National Park, rent one bedroom apartment of 50 sqm. The apartment is furnished in every detail, is composed of kitchen (kitchen / living room with sofa bed) and 2 balconies, bedroom and bathroom. The apartment is inclusive of all comfort: TV, air conditioning, wireless internet, gas, water, electricity Enel and parking. The luxury apartment is situated in quiet and panoramic area just 5 minutes from the sea and from the center and 5 km from the temples of Paestum. It can be rented it in all periods of the year: daily, weekly, monthly and weekends. L"unica pecca la mancanza di spazi esterni per far giocare i bambini e mangiare all'aperto. Posizione panoramica sulla vallata, ambienti ampi e letti comodi. La cucina è pratica e fornita di tutti gli accessori. Proprietari disponibilissimi e gentilissimi. Appartamenti nuovi, curati e puliti. Vacanza con 2 bimbi di 3 anni all'insegna del relax. Wir waren zum zweiten Mal bei Ana-Jesicca und Mario. Die Beschreibung aus der ersten Bewertung trifft immer noch voll zu. Danke und wenn nichts dazwischen kommt, bis nächstes Jahr. Straordinario il posto e straordinari i titolari.Appartamento pulitissimo e superaccessoriato,non si può chiedere di più,credetemi! (Text automatically translated) Take the exit Battipaglia and follow direction Agropoli, Agropoli Sud exit and turn left continue to the roundabout turn left and go straight then turn the banner Contrada rump right.